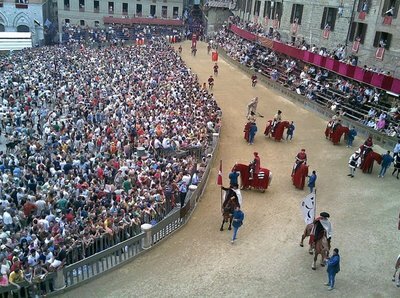 You can reach the city of Siena, coming down from the green hills of Chianti or through the “Crete” with their distinctive gray, in any case stands in the eyes the color “scorched earth” as we approach the city. The brick that covers all the roofs from a distance gives the impression of being in front of a fortress. Inside chasing down alleys and around the noble Piazza del Campo, the heart of the city. 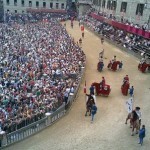 The square-shaped shell, made famous by the famous Palio is that we run two times a year – July 2 and August 16. 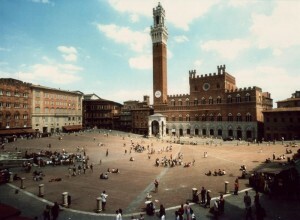 The square is dominated by the Torre del Mangia (1348) no less than 102 meters high symbol of independence and pride of Siena. They are the indelible traces of the spirit that characterizes the parochial and Contrada Siena and the special bond with the territory here than in any other city links the population to the land of origin. 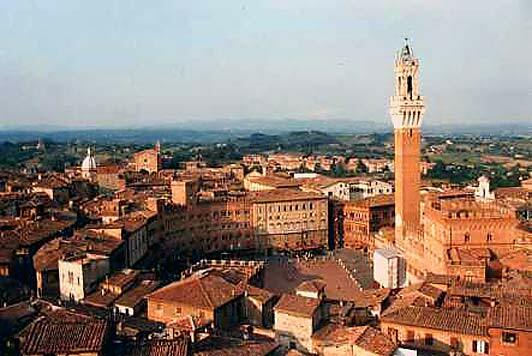 Siena is also the birthplace of St. Catherine Patron Saint of Italy, whose devotion is manifested in the beautiful churches, the Duomo, the Church of St. Dominic, St. Francis and Santa Maria degli Angeli. 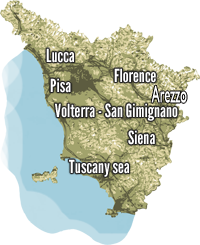 The geographical position is located in Siena the door to be easily accessible from many places in Tuscany, Florence, Volterra, San Gimignano, Arezzo are close to the city takes approximately 30 minutes by car. 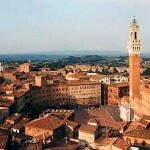 If you are looking for accommodation in Siena a great alternative to downtown hotels are the farms that are located in the surrounding countryside. Holidays apartments or Rooms in farmhouse or economic characteristics and country houses with swimming pool, a luxury Relais or rent a private villas with swimming pool.